Parts for making your own pair of 10-sided percentile-labeled fuzzy dice. The Fuzzy Percentile Dice kit is a sewing kit to put together your own set of super-geeky d10-d10 fuzzy dice. 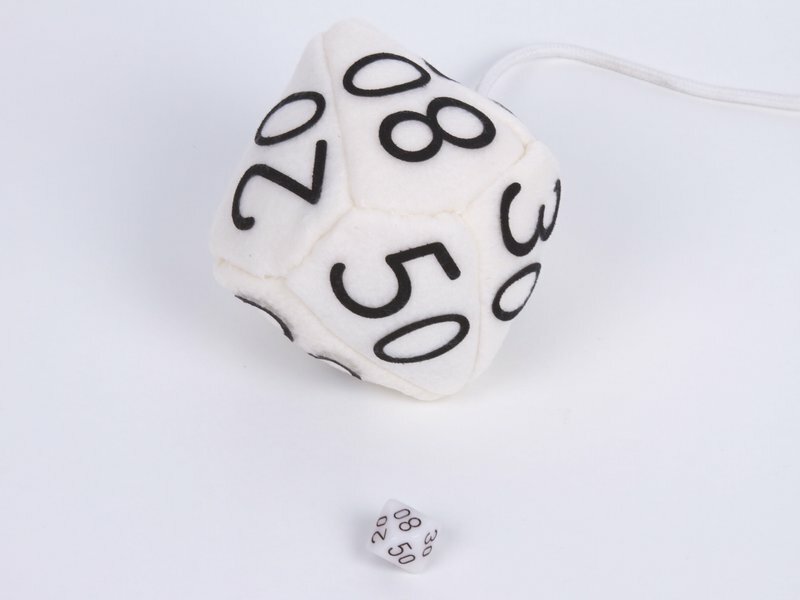 The kit includes 20 faces precision cut from white polyester fleece, and custom laser-cut iron-on numbers for those faces, plus stuffing and the cord to join the two dice. It's hackable, too. 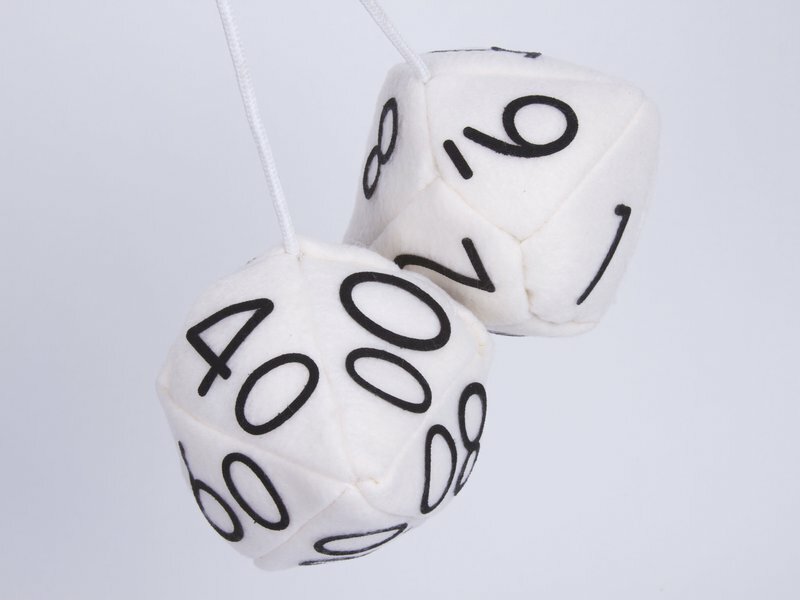 The included number set can be either used to label one die 0-9 and the other 00-90 (by 10's) for that "percentile" look, or it can be used to give both dice matching 0-9 numbers. 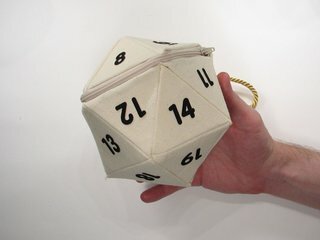 If you'd rather just have a matching pair of stuffed dice, you can also build it without the cord. You could even mod them into a pair of little coin purses, with a bit of work. 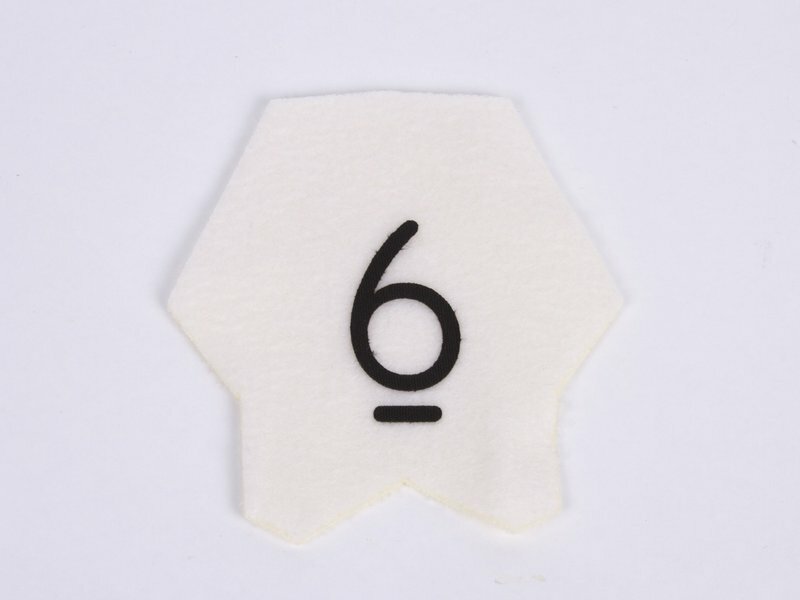 And, if you want to start part-way from scratch, the iron on number set is also offered separately. This is our easiest sewing kit. 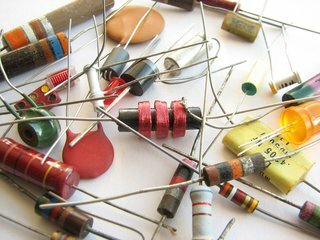 It takes one to several hours to assemble-- depending on your skill level -- and requires you to provide thread (ideally white...), needle, and an iron (fabric type, not soldering type). A sewing machine is not required but may make some parts go faster. 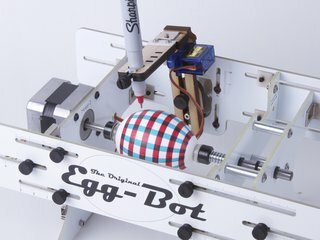 The assembly instructions, complete with the original patterns, are provided online, so you'll also need internet access to read those instructions and put it together. 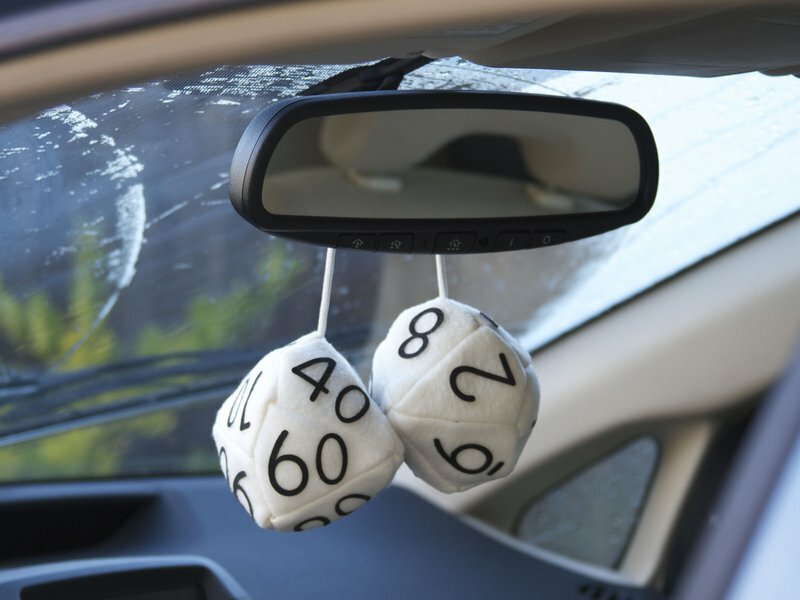 One note of caution: Fuzzy dice are not necessarily legal. 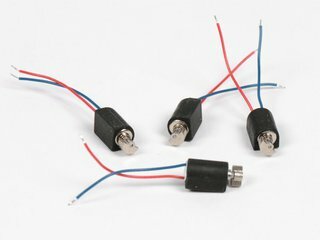 We suggest that you consult local regulations before driving with these, especially if you live in an area hostile to car mods and/or gaming.